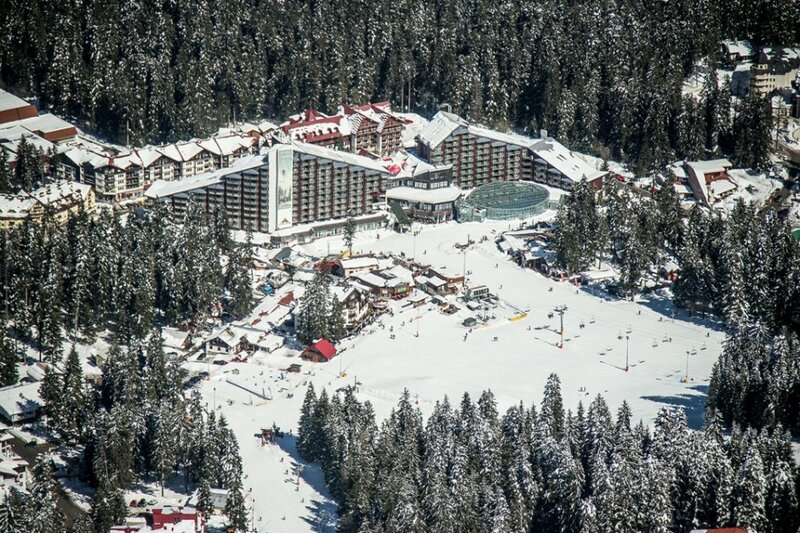 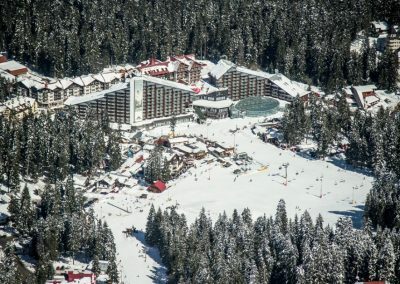 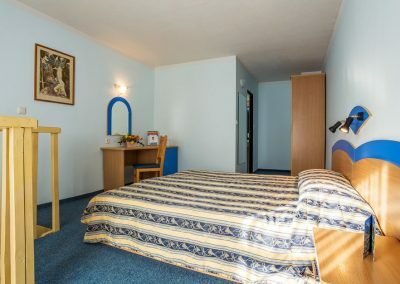 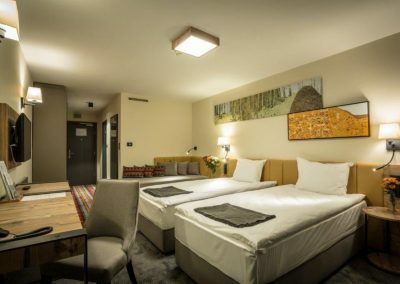 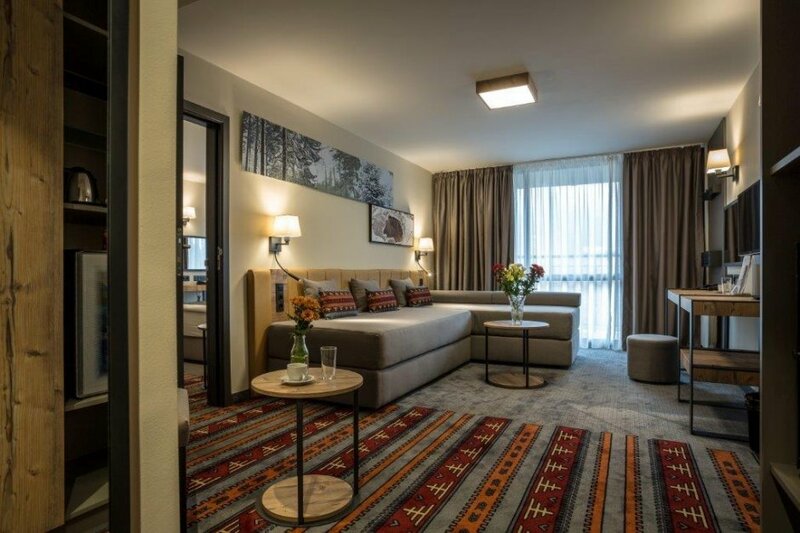 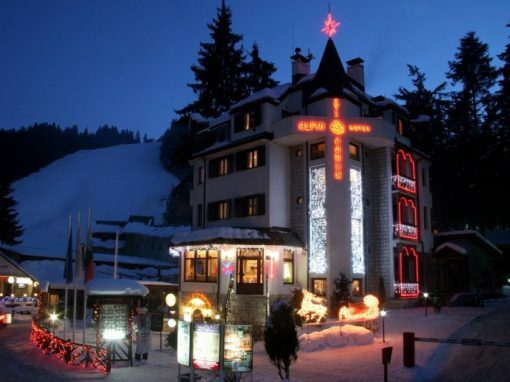 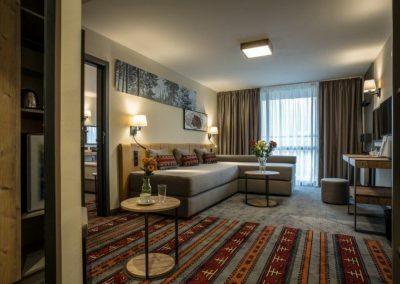 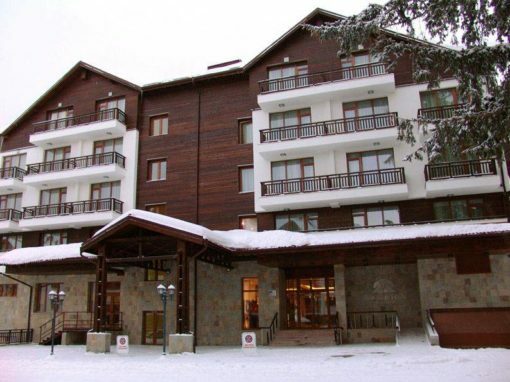 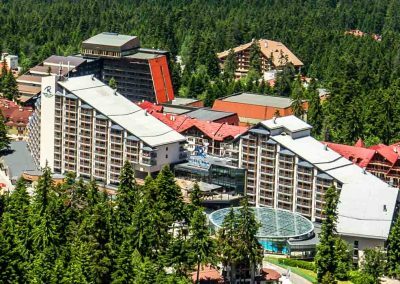 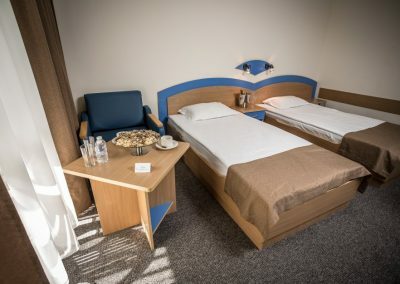 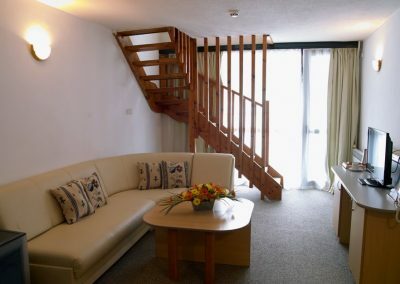 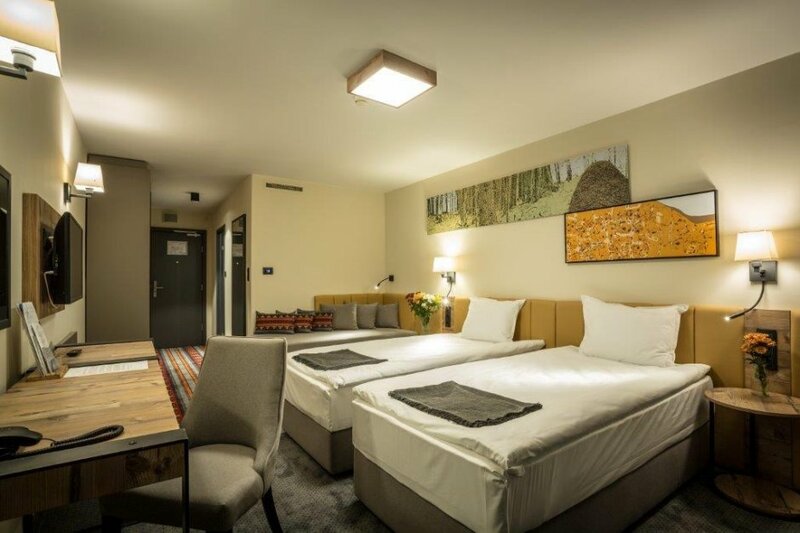 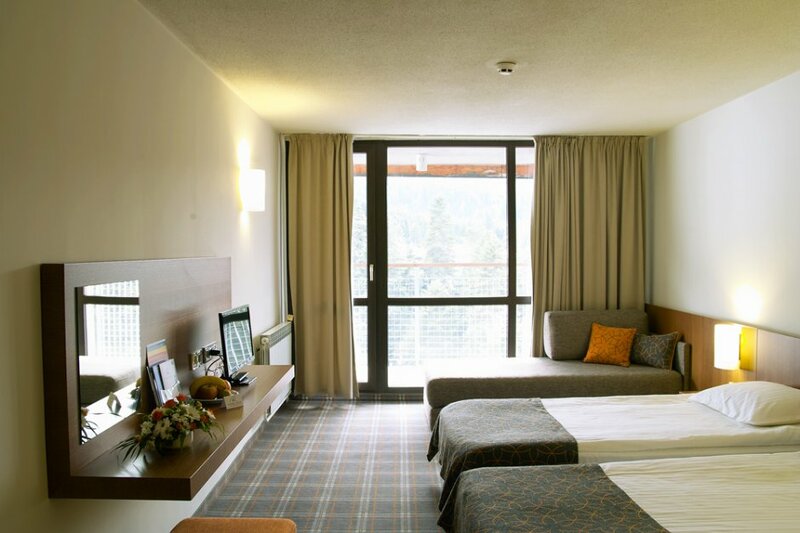 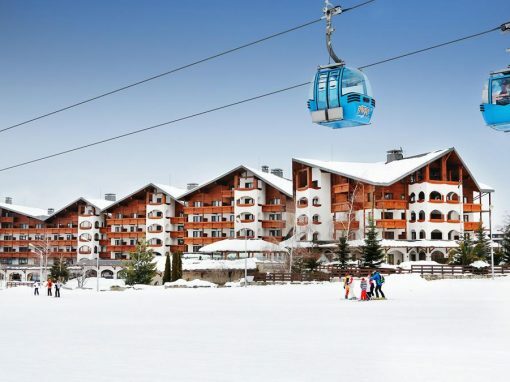 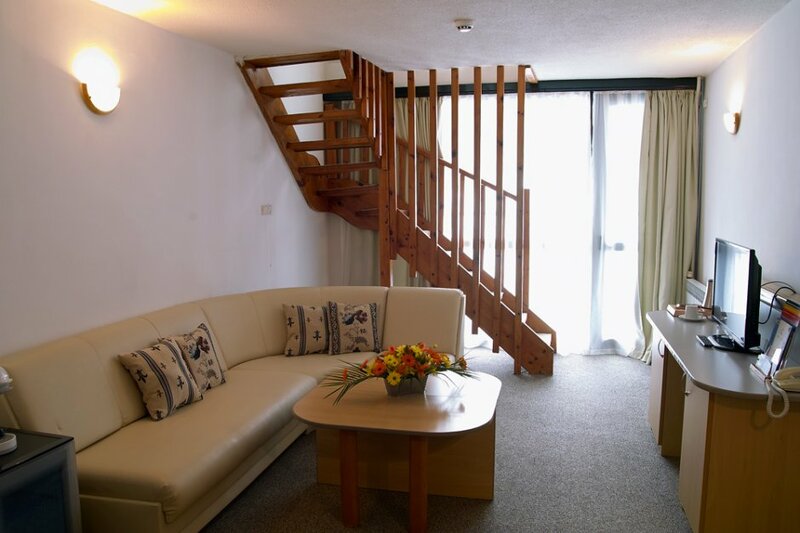 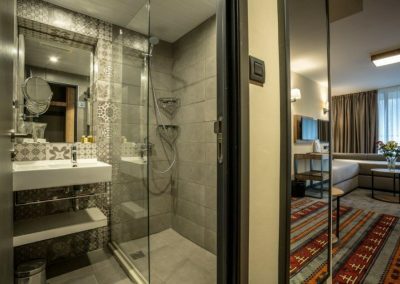 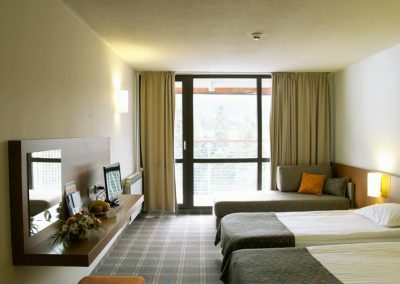 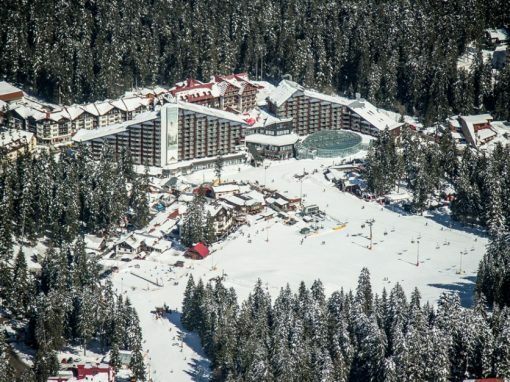 Hotel Rila is located in the heart of the oldest mountain resort on the Balkans – Borovets, only 70 km. 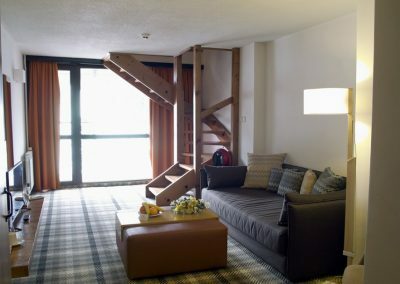 from the capital Sofia. 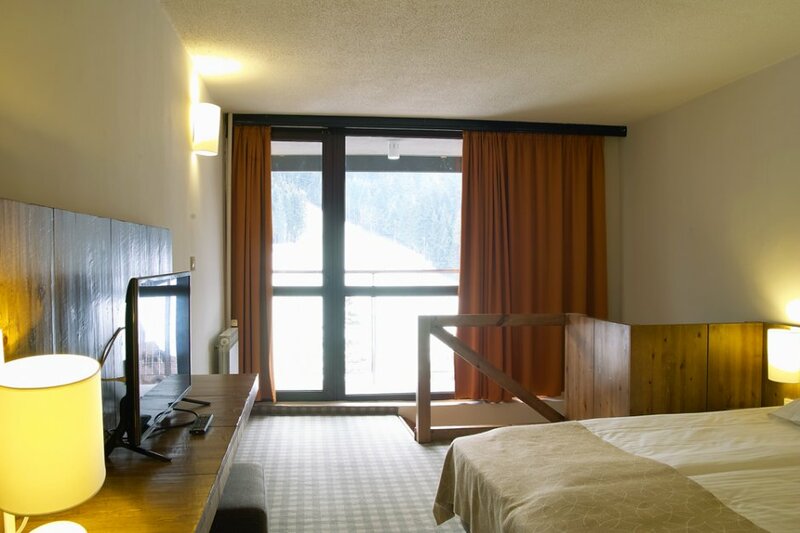 At the very foot of the ski slopes – 200 meters from the Gondola lift. 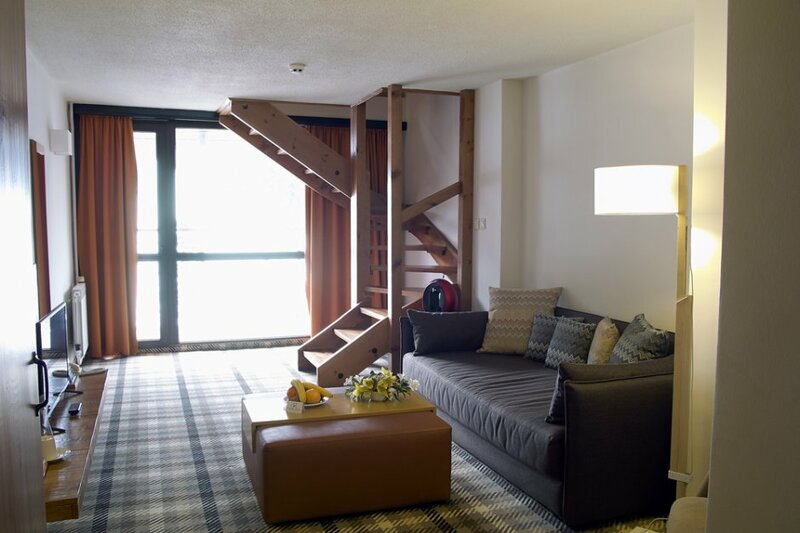 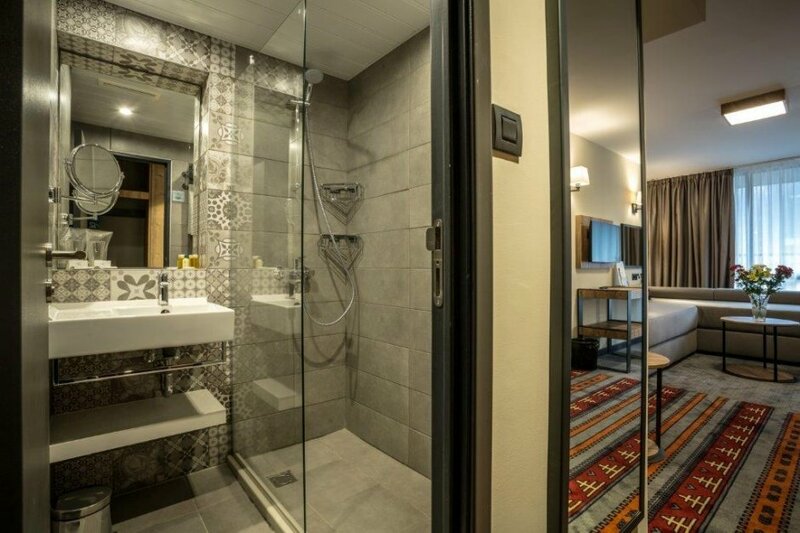 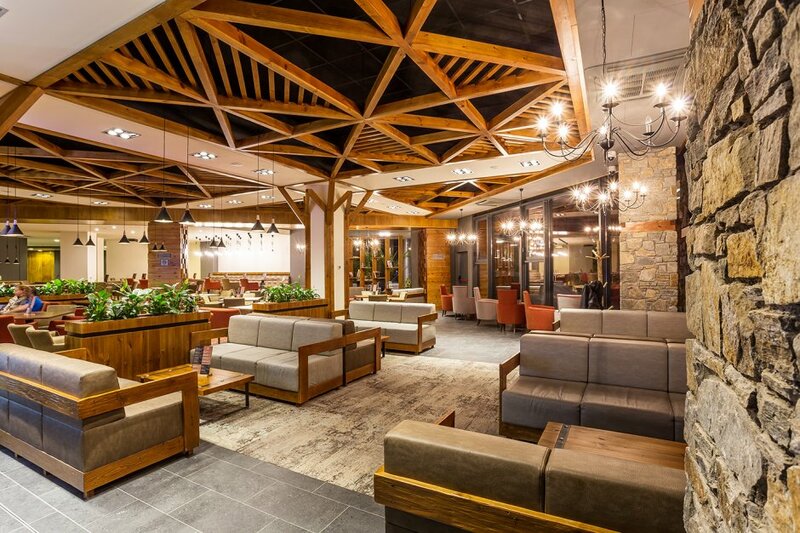 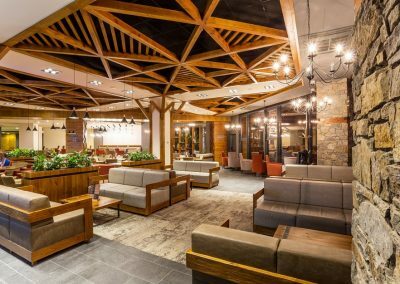 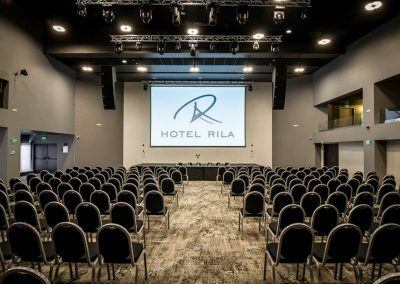 The design of the hotel inspired by the French winter resort Les Arcs, in keeping with the rich history of the region and the current trends, create the unique modernistic alpine style of Rila. 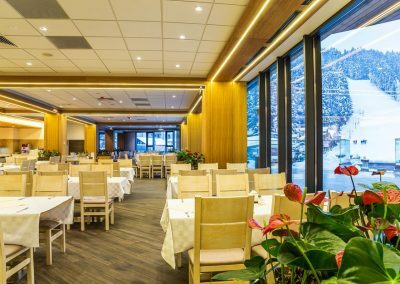 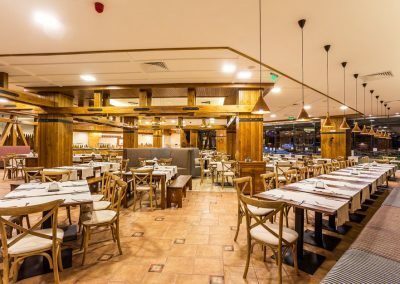 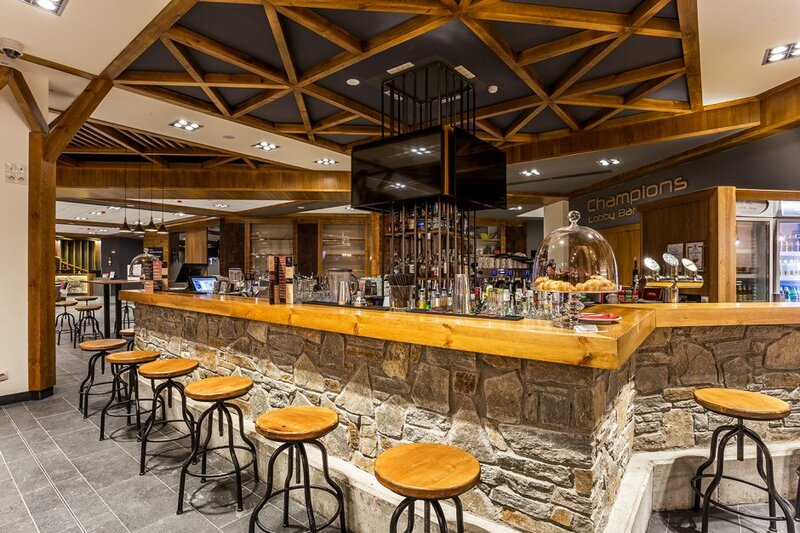 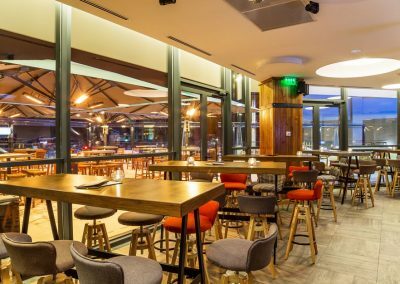 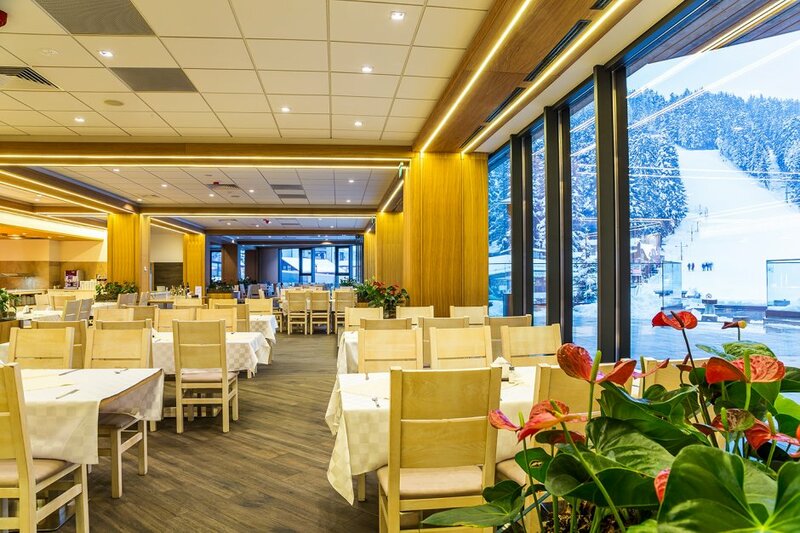 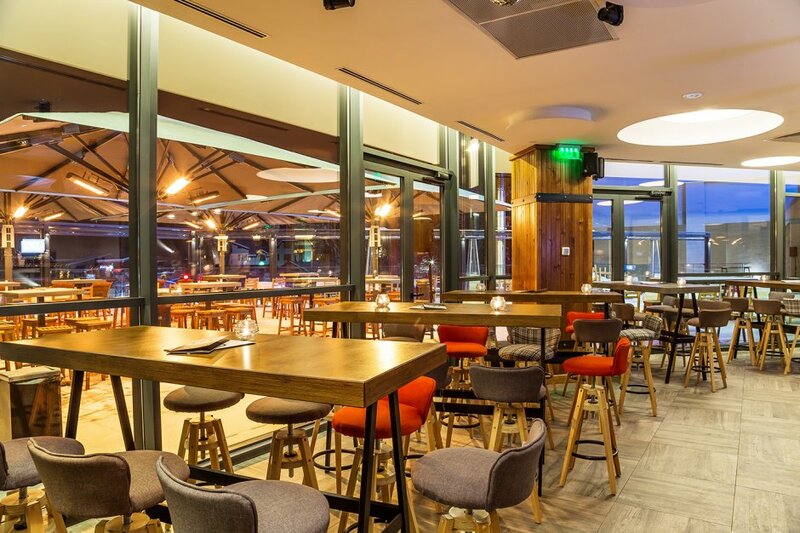 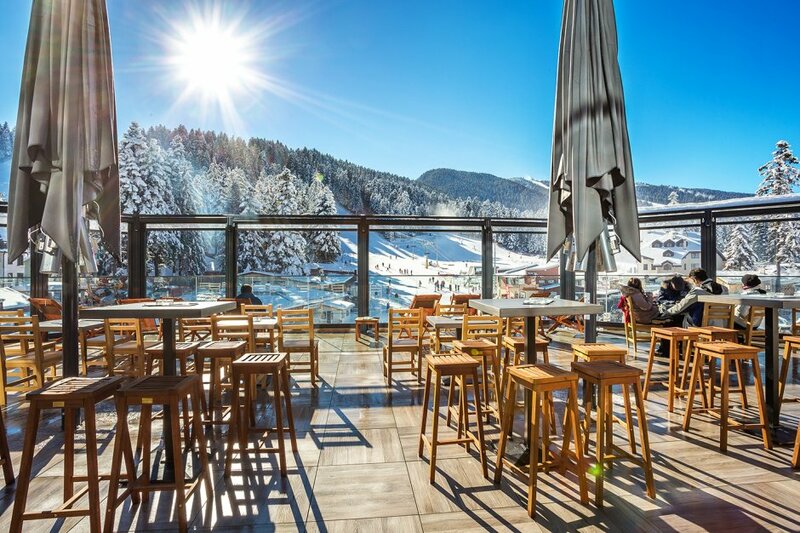 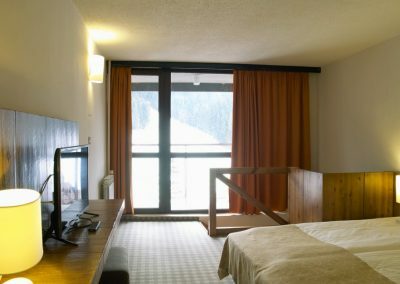 The wide variety of restaurants and bars of Rila Hotel will satisfy every taste – two Seasons and Les Arcs buffet restaurants, a unique Samokovi a-la-carte restaurant, a Lobby bar, a terrace-bar with a view of the slopes and the best night club in curor. 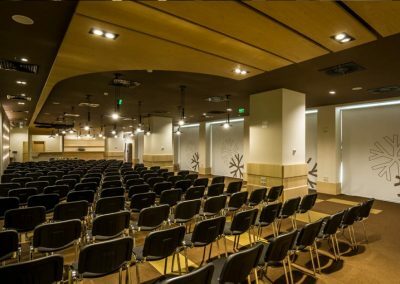 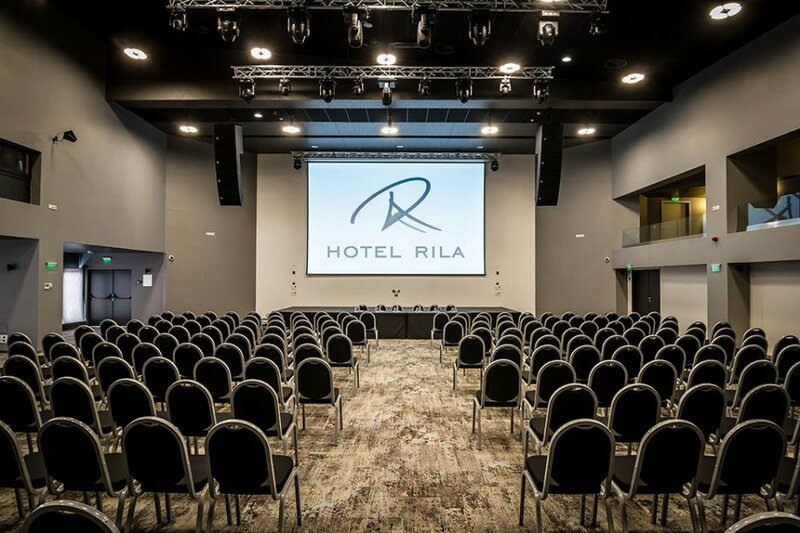 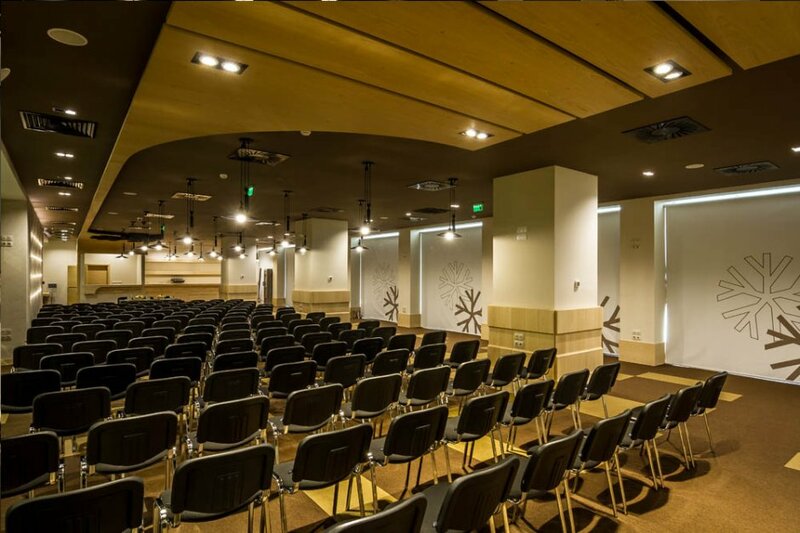 Rila’s renovated conference center offers various opportunities for organizing company conferences, trainings, workshops, cocktails, parties and other business and personal events. 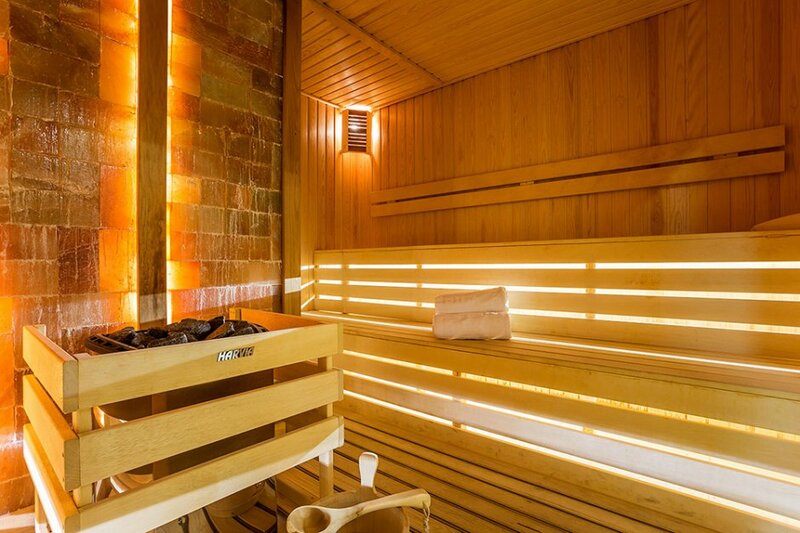 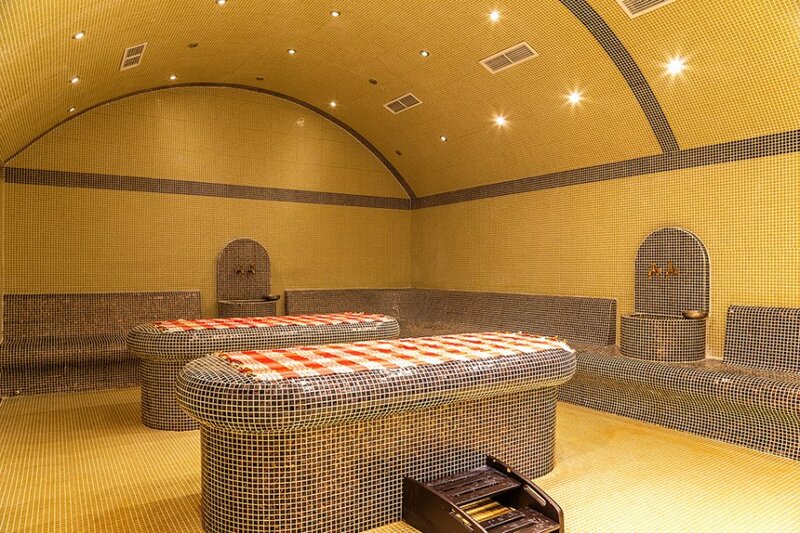 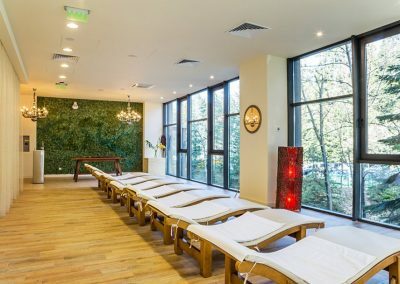 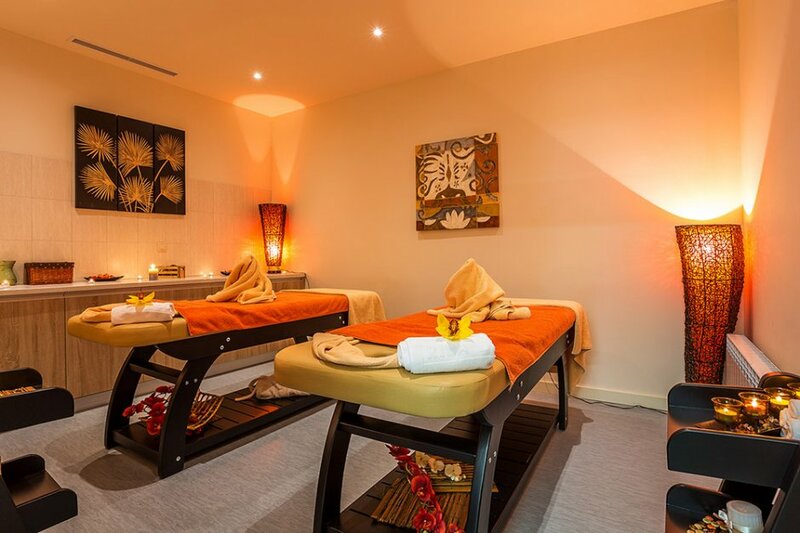 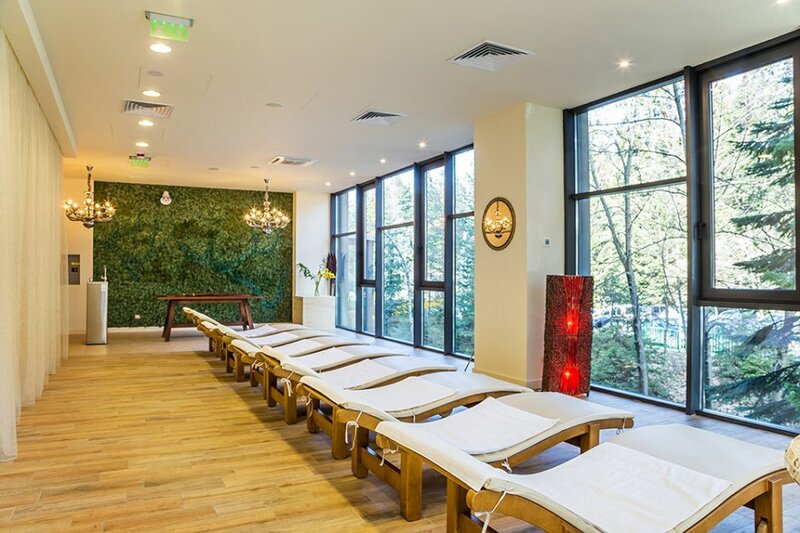 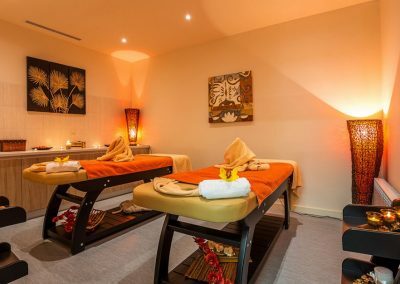 Recently renovated, Rila’s SPA center offers the most up-to-date procedures of its clients in a soothing atmosphere. 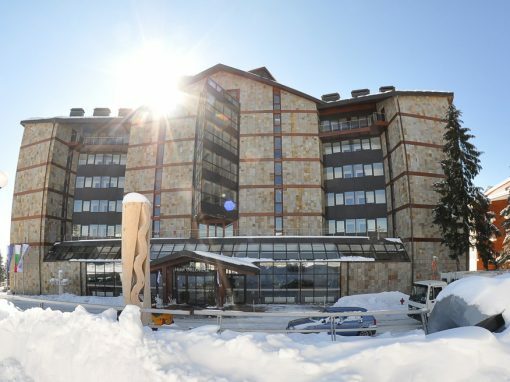 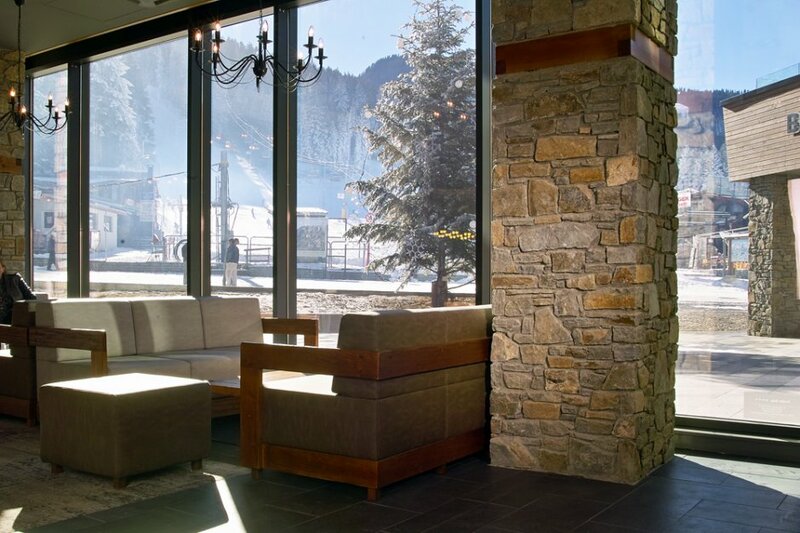 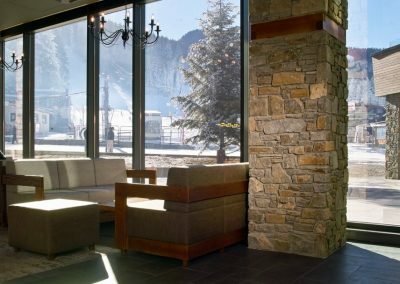 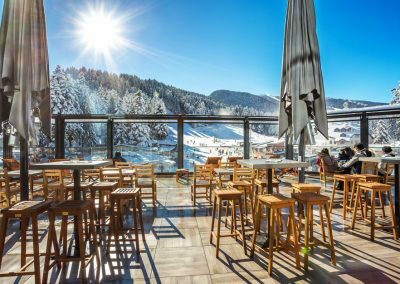 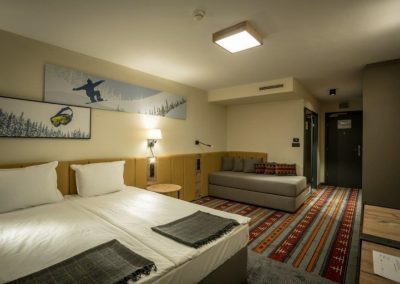 Rila is the perfect ski-in / ski-out hotel where winter sports lovers can feel good. 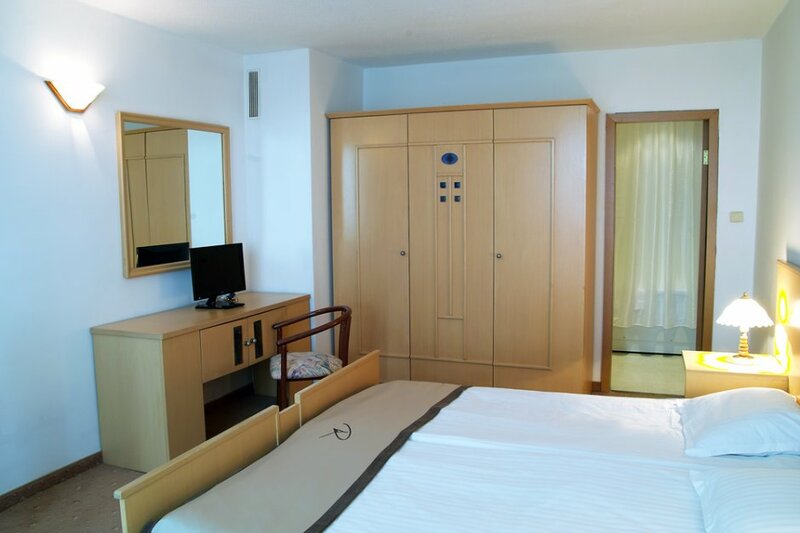 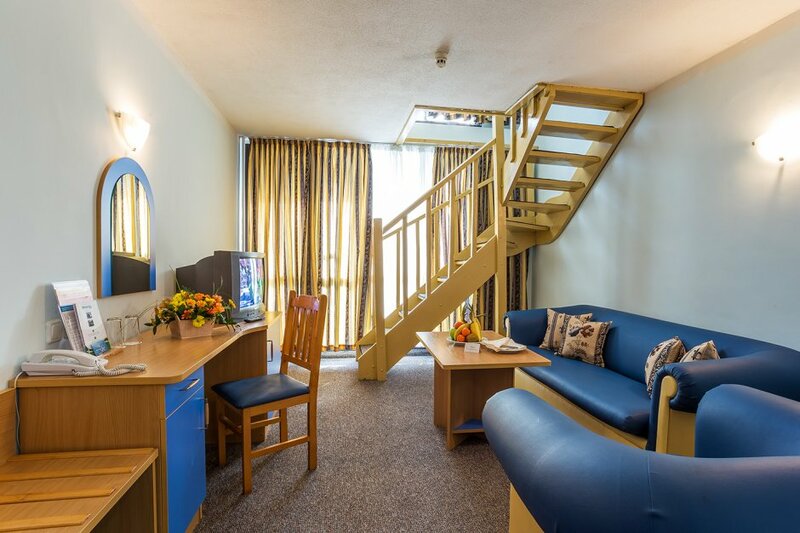 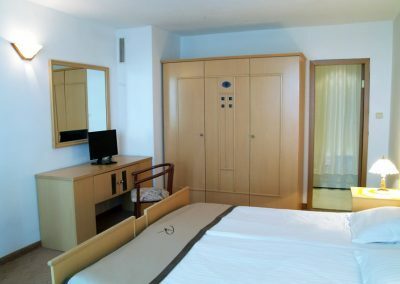 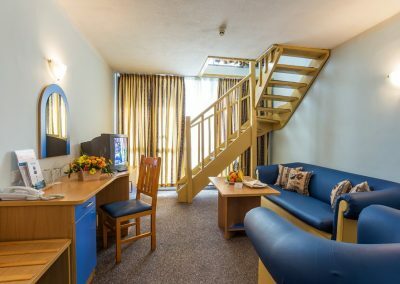 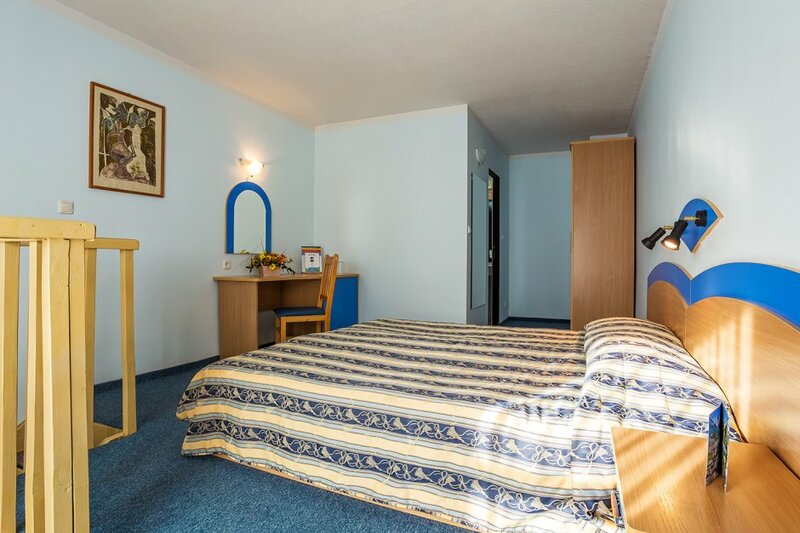 The hotel also offers rental equipment and storage facilities for personal equipment.